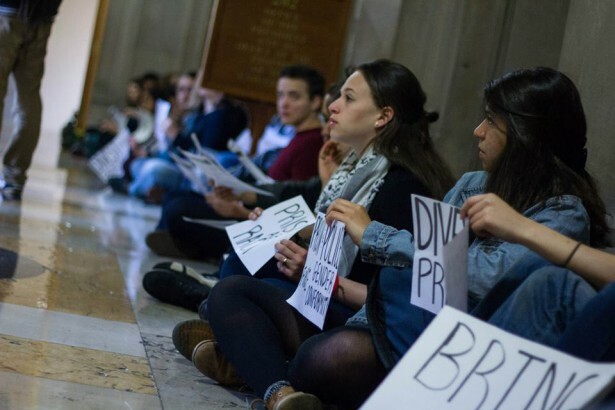 Although there have been smaller victories around private prison divestment at the campus level, Columbia is now the first institution to officially divest. 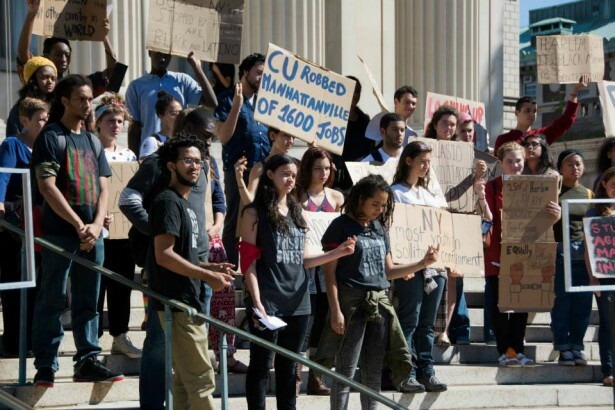 In a vote Monday night, after 16 months of student pressure, Columbia University’s Board of Trustees voted to divest its $9.2 billion endowment from private prisons, and create a negative screen that will prevent further investments down the line. 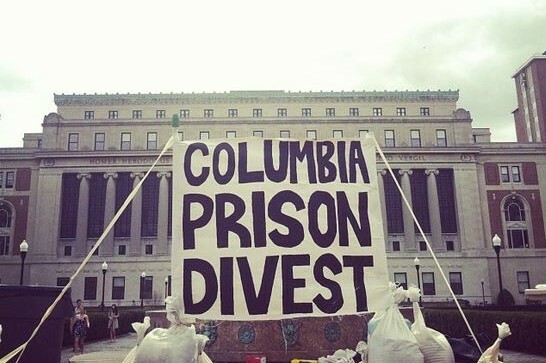 Although there have been smaller victories around private prison divestment at the campus level, Columbia is the first institution to officially divest. Earlier this spring, Wesleyan University’s president expressed his support for fossil fuel divestment after students staged a sit-in for fossil fuel and private prison divestment, as well as for divestment from those companies profiting off of Israeli apartheid, as consistent with the Palestinian civil society call for “Boycott, Divestment and Sanctions,” or BDS. Yale University has divested its stocks in certain companies, but has set no barriers against buying up similar holdings in the future. Although Columbia had already rid itself of the 230,000-shares worth of Corrections Corporation of America stock it once held, the school maintains 220,000 holdings in G4S that will be transitioned out of its portfolio over the next several months. Contractors like G4S, CCA and Geo Group not only own prisons, but also a number of the facilities where undocumented immigrants are held en route to deportation in both the United States and United Kingdom, where G4S is headquartered. Alumni and former CPD organizer Imani Brown said in a press statement that, “From the start, we wanted to establish those links that what’s happening globally is happening domestically.” In addition to operating immigration detention centers, private prison companies have been instrumental in militarizing the borders themselves — as well as checkpoints in the occupied West Bank. What’s more, they have lobbied for the passage of measures such as Arizona’s notoriously draconian anti-immigration bill, SB 1070. In what may well be a sign of private prison divestment campaigners’ success at pushing the issue into the mainstream, the most recent season of “Orange Is the New Black,” the popular Netflix series about a women’s prison in upstate New York, features an extensive and damning plotline about the for-profit prison industry.